Atorvastatin reduces cholesterol synthesis in liver by Inhibiting HMGCoAReductase. Atorvastatin normalizes endothelial cell activity and facilitates reduction of lipid in plaque. 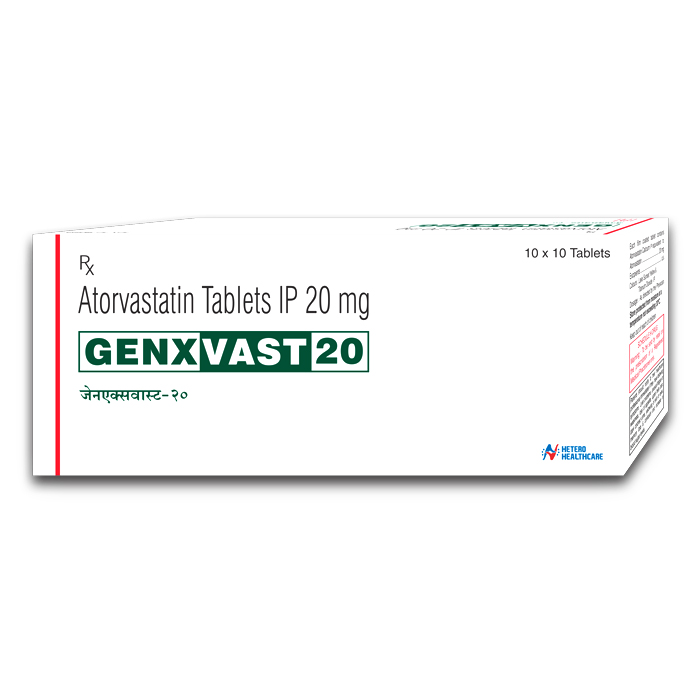 Genxvast 20 Tablet is used in the treatment of high cholesterol.